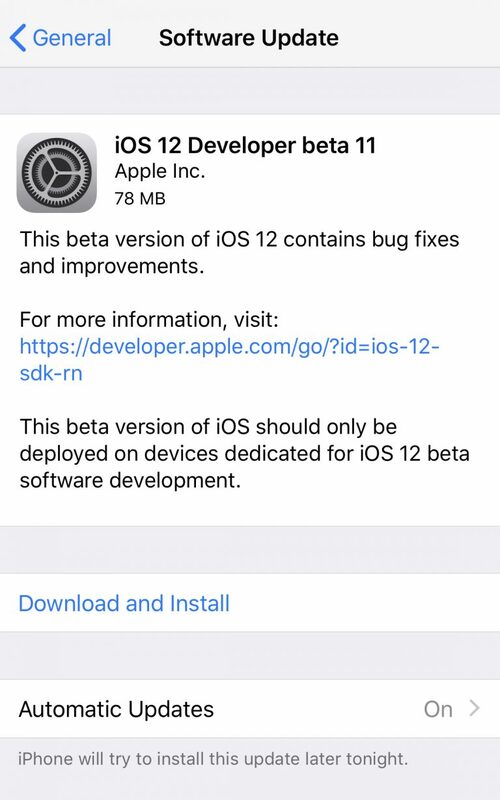 A couple of hours ago Apple has released iOS 12 beta 11 to developers which comes with handful features and bugs fixes with build number 16A5365b. That's not all, beside the iOS 12 beta 11 Apple also updated beta versions of macOS Mojave and tvOS 12. 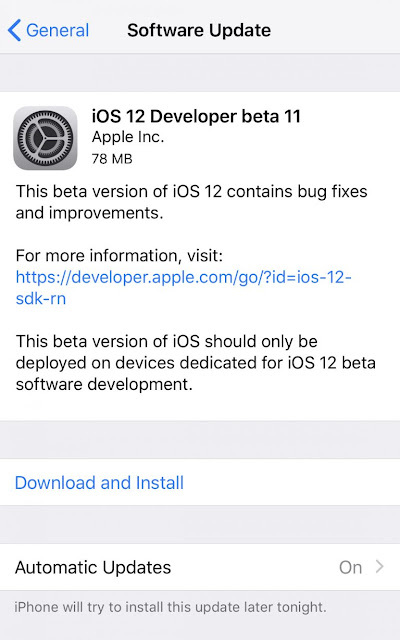 As usual, Apple says this beta version of iOS should only be deployed on devices dedicated for iOS 12 beta software development. We'll let you updated with anything new related to iOS 12 beta 11.